Welcome to our hotel in Elmhurst, IL, a charming property brimming with warm hospitality that’s nestled in the heart of Chicago’s western suburbs. 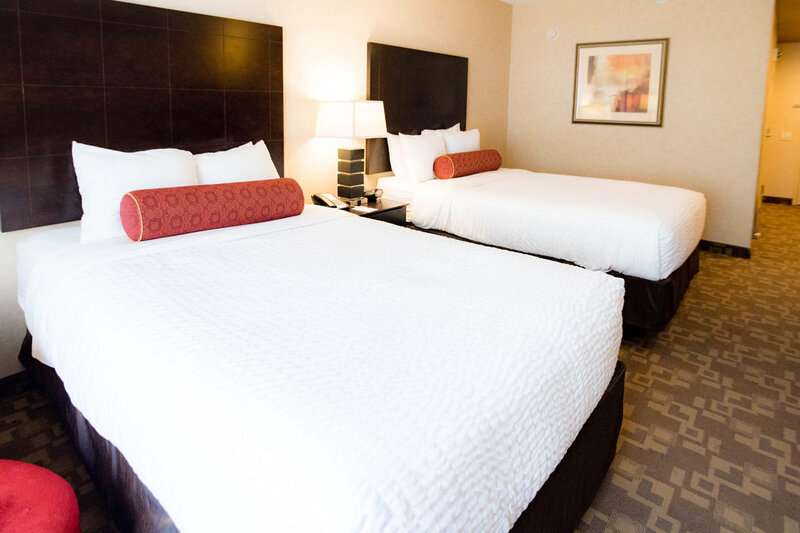 Whether you’re traveling to the area for a multi-day conference or to celebrate a special event, Clarion Inn Elmhurst-Oakbrook is here to provide you with an exceptional stay and quality night’s rest. Discover our upscale hotel in Elmhurst that boasts well-appointed amenities usually found in five-star properties. 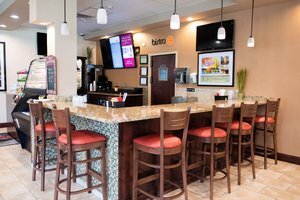 Dine at Bistro C, our charming restaurant, perfect for bringing people together over a meal of American classics. 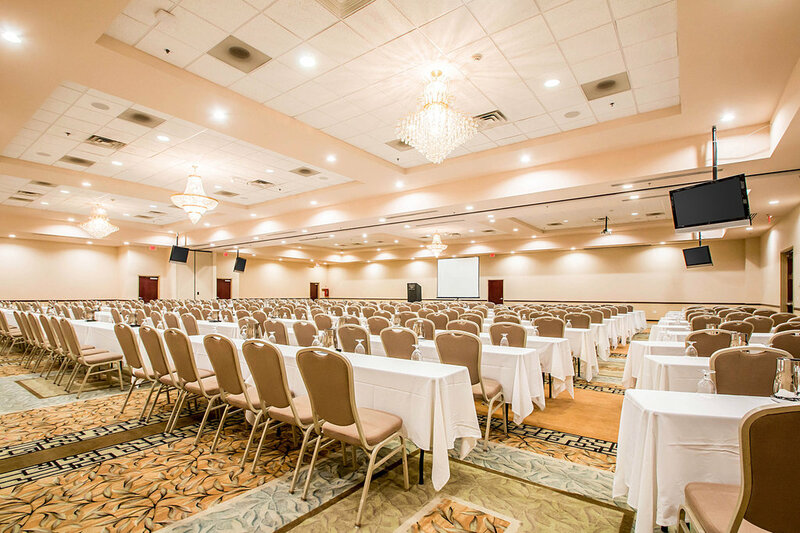 Host your conference at one of three meeting spaces with on-site catering and A/V equipment. Plan your large-scale professional event or grand celebration at Waterford Banquet & Conference Center next door. 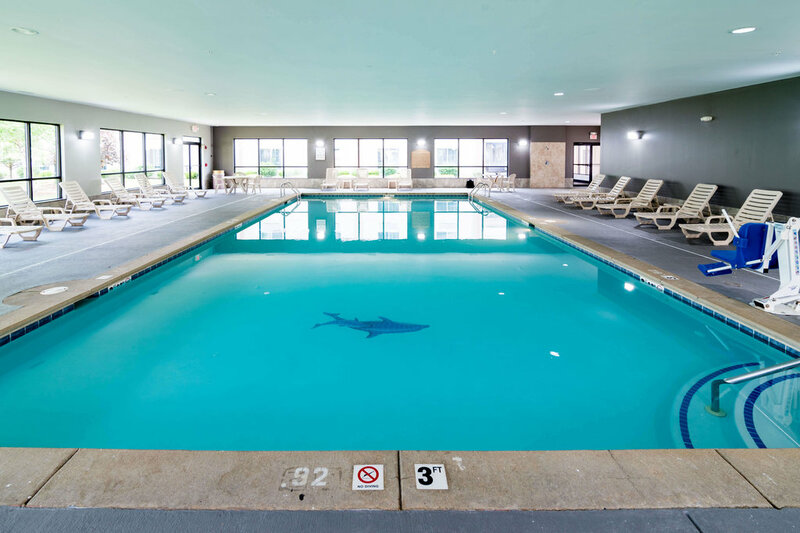 Swim laps in our indoor pool and work out in our 24-hour fitness center. Relax on our secluded patio and terrace. Bring the whole family along and book our pet-friendly hotel rooms. Business meetings and special events are the specialty at our hotel in Elmhurst. Whether you’re planning a corporate retreat, intimate gathering, or large celebration, our versatile venues and expert events team are well-equipped to host your next event. 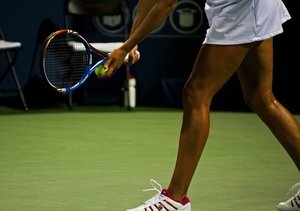 Make your next event a memorable one in the area’s premier banquet and conference facility. 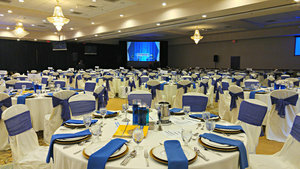 Located next door to the hotel, the Waterford Banquet & Conference Center boasts over 12,000 sq. ft. of indoor meeting space and a picturesque venue for outdoor receptions. From catering services and audiovisual support to comprehensive events and wedding packages, you can leave all the details to us. 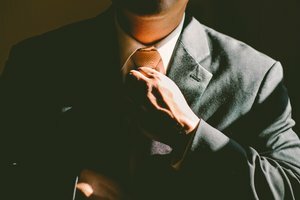 Interested in planning an event? Fill out our Weddings & Banquets or Meetings RFP for more information. Our upscale lodgings offer the perfect harmony between contemporary style and the comforts of home. Every room and suite includes Four-Star pillow top mattresses, high-speed Wi-Fi, and cable TV with free HBO. Our luxurious executive suites feature a view of the courtyard, and our two-level suites are perfect for groups such as bridal parties or couples on romantic getaways. Ideally located in the Chicago suburbs just a block away from Oakbrook, Illinois, our Elmhurst, IL hotel is a popular choice for guests looking to stay just 25 minutes from downtown and close to O’Hare Airport. We’re also near the state-of-the-art Elmhurst Memorial Hospital, and offer complimentary shuttle service for visiting physicians and patients. 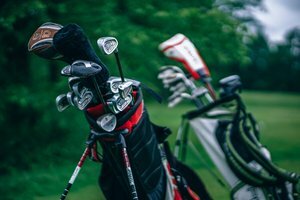 Clarion guests receive special rates at Sugar Creek Golf Course, Courts Plus, and Patriot Boxing. Find more value when you stay at our hotel in Elmhurst, Illinois with convenient on-site amenities and an attached banquet space. 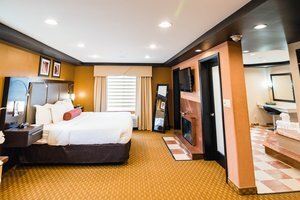 Book your stay at our hotel in Elmhurst, IL today! 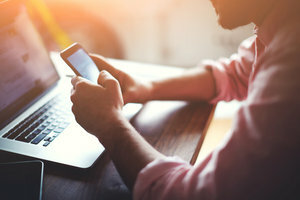 Keep our hotel information on hand! Download our brochure here.